After this web option, screen will be displayed with following auto populated values. Whether 8 years completed or not? Present working Place, Mandal etc. The HM/Teacher who comes under compulsory transfer, they have to choose all the available vacancies except their present working place.Others may select at least one vacancy. Then after the Name of Mandals where the vacancies are available including the vacancies likely to be arose gets displayed on the left side column of the screen. The Mandals have to be selected in the preferential order as desired by Teacher. The selected Mandals will be moved to right side column of the screen in the selected order. In right side column of the screen, there is also a provision to change the selection order of the Mandals by moving up or down. After selection of Mandals then need to press SUBMIT button to get the school names where the vacancies are available. After submit button, the next screen gets displayed with two columns. In the left column of the screen the schools names gets displayed as in the order of preferential Mandals chosen by the individual. 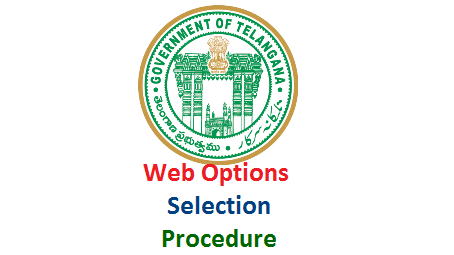 As in the case of selection of Mandal, here also, School Names are to be selected in thepreferential order for web counselling and selected school names will be moved to right side column of the screen in the selected order. In right side column of the screen, there is also a provision to change the selection order of the School names by moving up or down. After selecting all the details, press PREVIEW button. This will display the details submitted by them. If they found that all the details are correct, press SUBMIT otherwise press EDIT and resubmit the information. Editing of web option is allowed for ONE time by sending OTP to their registered Mobiles. Based on the web options exercised by the individual and Seniority of the teacher, the allotment process will be done and transferred teachers’ details along with proceedings will be hosted in the website.